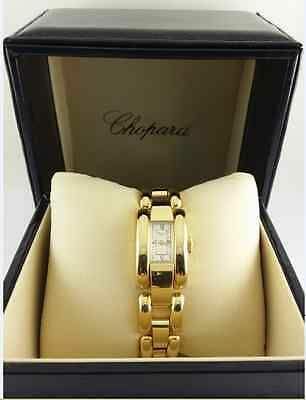 This watch by "Chopard" is characterised by exceptional quality and the finest design. 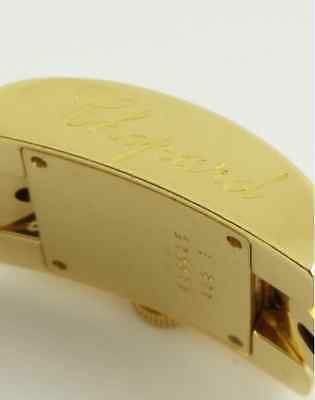 The casing is made of 750 yellow gold . 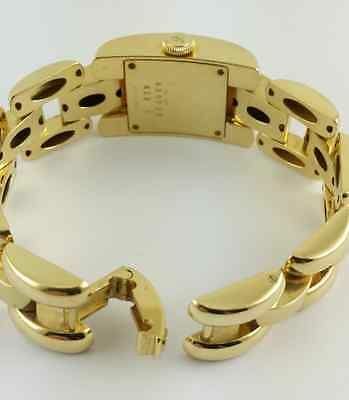 made of 750 yellow gold. 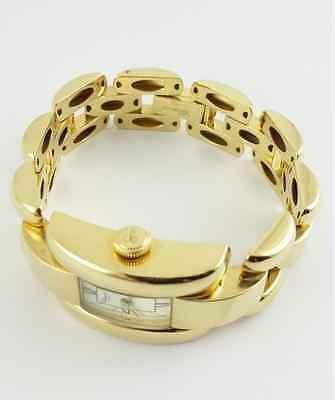 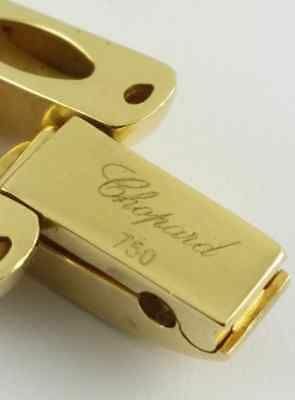 The clasp is a box clasp made of 750 yellow gold. 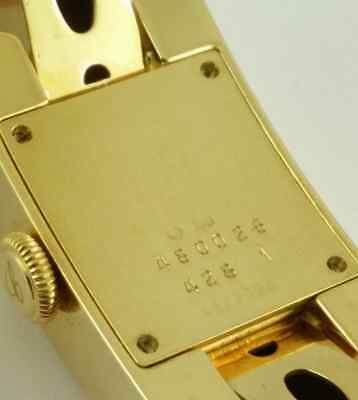 The dial is white with black Roman numerals and gold coloured hands. 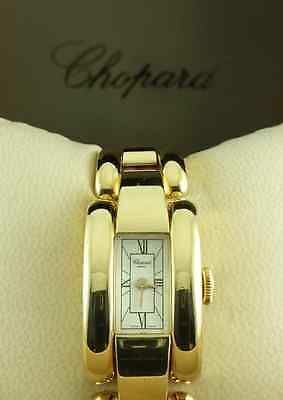 >>Please note: the watch was serviced by Chopard. 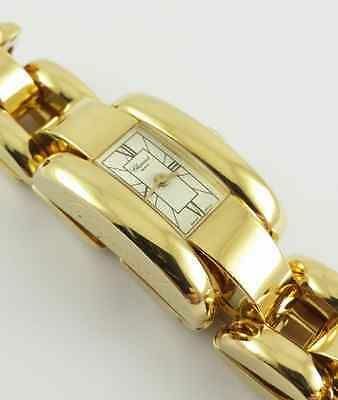 A lot of work was carried out on the watch. 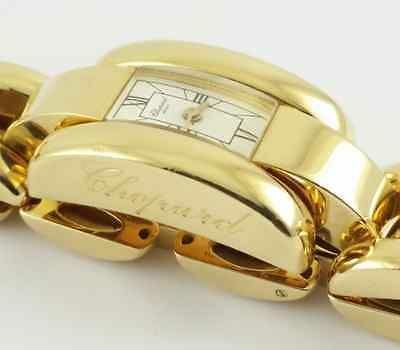 The Chopard quotation will be included in the delivery as further proof of the watches authenticity, see pictures. 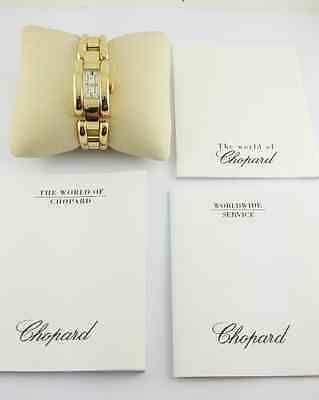 The watch is up for sale in the original box with the booklets "Worldwide Service" and "The World of Chopard" and a Chopard quotation, see pictures. 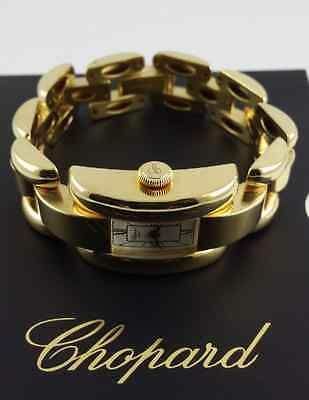 You will get this watch with a certificate of authenticity from us as well.